Like the ankle, the foot takes a lot of strain. Myriad small (and very strong) joints combine to allow just the right type and amount of movement that we need to perform the rather wonderful action known as walking. The joints themselves, the muscles (both intrinsic, or within the foot itself; and extrinsic, i.e. acting on the foot from the leg), the supporting ligaments and nerves are all vulnerable under the right circumstances. Bursae, or fluid-filled sacs whose job it is to reduce friction or pressure, can themselves get irritated when too much is asked of them. This is called a bursitis. This can be a particularly nasty and stubborn source of heel and foot pain. 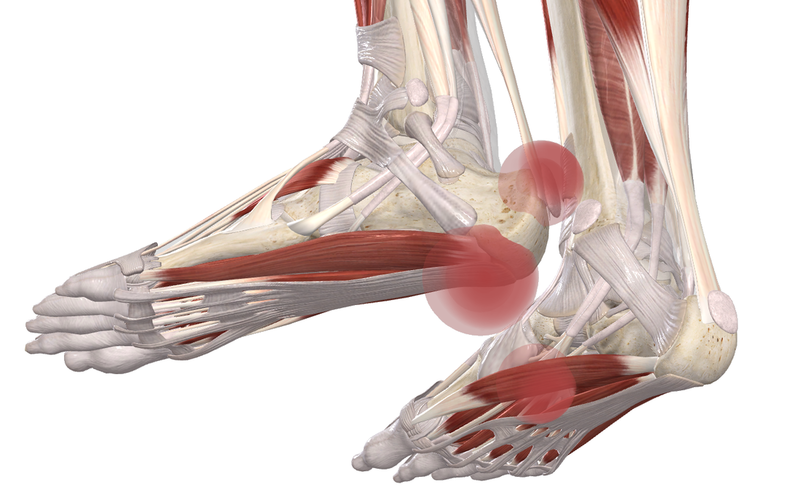 Plantar fasciitis is another common source of heel and arch pain. While 'itis' at the end of a word normally indicates inflammation - tendonitis is the inflammation of a tendon, and bursitis (as mentioned above) is inflammation of a bursa, etc. - more recent investigation of plantar fasciitis seems to imply it is more a process of degeneration or wear and tear, rather than one of inflammation. ​Reducing the stress on these degenerative structures by improving the support by the muscles of the foot and calf, and movement of the joints of the lower limb, is a key aim of osteopathic treatment of this condition. Dry needling is often very effective in this. Do you suffer from heel or arch pain?